Cardio Debate > Cardio Notes > Treatment and Prevention > The rise of ‘statin denialism’ – is this a real risk? The rise of ‘statin denialism’ – is this a real risk? The rise of ‘statin deniers’ – an online movement denouncing the use of statins to reduce cholesterol – is causing havoc in patients at risk of developing CVD, according to leading cardiologist Steve Nissen, Cleveland Clinic, Ohio, US. 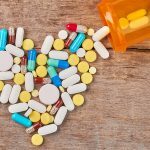 How large is the benefit of statin therapy for those at the lowest risk of heart disease? Does the evidence represent different patient populations – such as women – adequately? What is the impact of statin therapy on the patient’s lifestyle? Does it cause them to adopt more heathy behaviours, or the opposite? Do we need to examine the potential harm of statin therapy to ‘balance the books’? It is worth noting that these questions are a far cry from the ‘statin denialism’ movement that shuns cholesterol-lowering therapy in favour of untested ‘natural’ remedies.